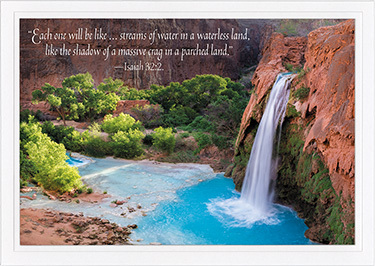 FRONT: "Each one will be like ... streams of water in a waterless land, like the shadow of a massive crag in a parched land. 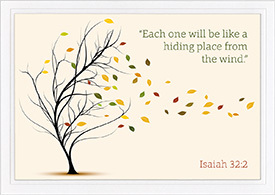 "-Isaiah 32:2. 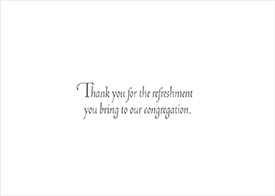 INSIDE: Thank you for the refreshment you bring to our congregation. 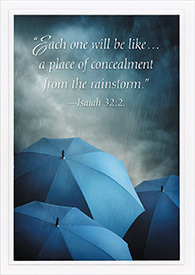 An attractive embossed white border nicely frames the high-gloss UV coated picture on the front. Size: 5" x 7" folded.